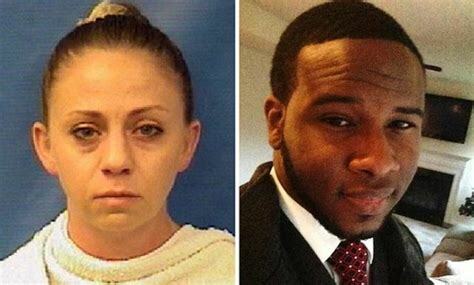 Today the Dallas Police Department announced officer Amber Guyger had been fired. The move comes as outrage mounted after the shooting death earlier this month of 26-year-old Botham John in his own apartment. We only believe that the right thing to do was to fire this officer. Geiger says she entered the apartment, thinking it was hers, saw a large silhouette, drew her gun and gave verbal commands before shooting. But John's family attorneys dispute that saying witnesses heard her banging on the door demanding to get inside. There was growing tension in Dallas after the release of a search warrant, showing several items seized from John's apartment including marijuana. Tonight at John's funeral in his home country of Saint Lucia, an outpouring of grief. Our son, you have gone in body, but you'll always remain with us forever. Guyger remains out on bail and is now out of a job. The dark silhouette of the castle ruins stood out boldly against the fading light. Marijuana is so common in the U.S. that many want to decriminalize it.